Safe Choice Installations Ltd - Builder, Windows/Doors/Conservatories based in Romsey, Hampshire. If you’re looking for the company that is small enough to care but big enough to cope, then look no further. 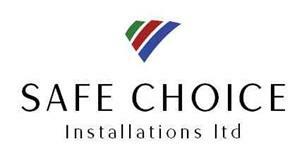 Safe choice has been pleasing customers and providing quality installations for 12 years. We pride ourselves on quality products, quality fitting, and after sales servicing. All quotations are free of charge, without pressure to buy. No job is too big or too small. Safe Choice has built its reputation almost entirely on recommendation, Checkatrade is giving us the opportunity to extend that reputation out to you and in essence be recommended by our customers.